View of the Uspenskiy Cathedral (main church of Vladimir-Suzdal Russia) and the building of the provincial offices (built in the 1790 year by the project of architect K.I. Blanca, now the museum center "Chambers"). Vladimir, Bolshaya Moskovskaya Street, 58. 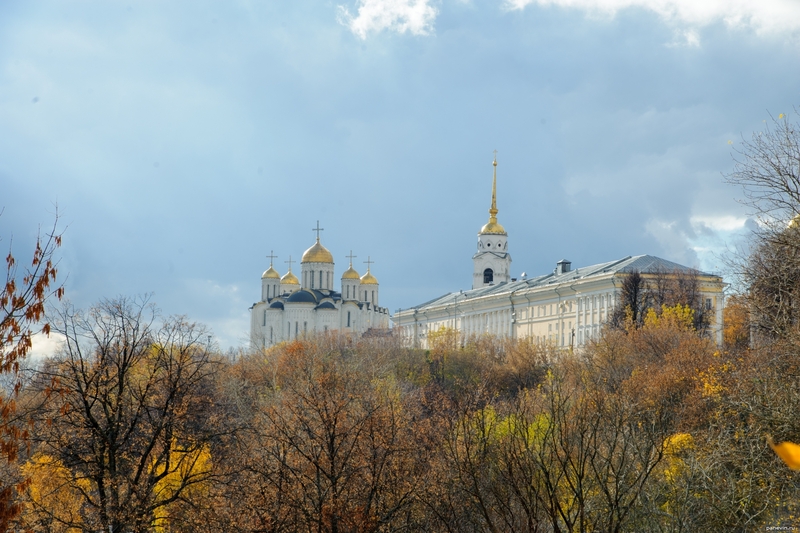 Blog, posts autumn, churches and cathedrals, classicism, museums, Vladimir.